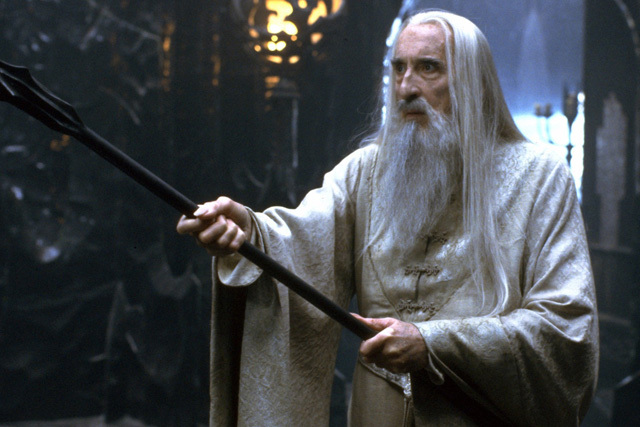 A Life of Impossible Things – A Tribute to Sir Christopher Lee | Warped Factor - Words in the Key of Geek. 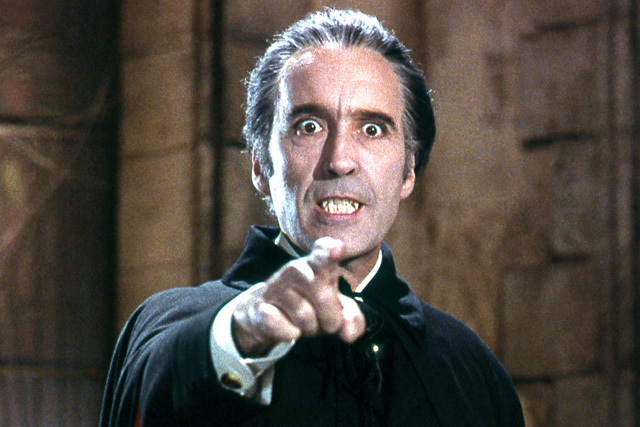 Dominic Fellows pays tribute to the late, great Christopher Lee. And so another legend has left us. The last of the great legends if you believe the press, and on this occasion I do. A man who had a seemingly impossible life, and as a result could make the public believe impossible things. So many amazing things have been attributed to him over the years, there is not a single tribute out there that covers them all. Many have focused their words on what he meant to them. As an actor, I can’t help but be wowed by his astonishing performances, which to me were nothing short of magic. 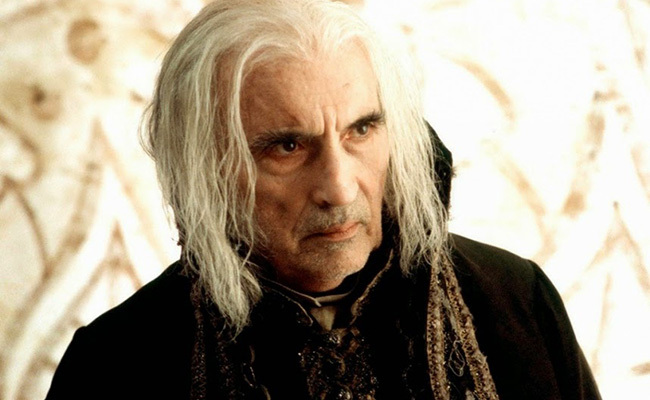 The funny thing about Christopher Lee is that he wasn’t actually known for doing good films. At best He starred in great genre stuff, at worst some of his films were downright dreadful. You might think an actor of his stature might be choosey, even snobby about what he did. 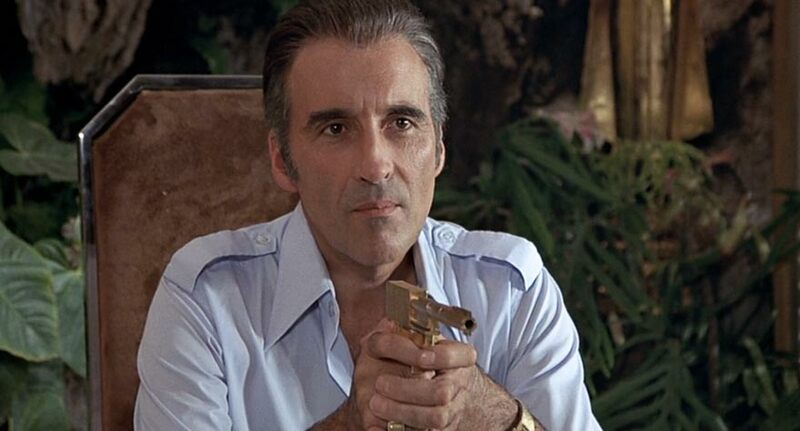 If you were to compile a list of things to admire about Christopher Lee, it would be LONG. Though all you have to do is google his name to find a slew of tributes littered with examples. For me it was the fact that despite his status as a living legend and the fact that he could probably command anything he wanted, I always loved that he chose to only do films that had a personal interest to him. Perhaps the best example is The Man with the Golden Gun, which incidentally is a terrible film. Made at the peak of the 1970s (the decade that style forgot) when Saltzman and Broccoli’s partnership was at breaking point, the leading man hadn’t quite settled in, and it was debatable if the character of Bond was still relevant. It is a victim of its age rather than a product of it. Much of the drama in the film is undercut by inappropriate direction (cartoon sound FX on the car stunt anyone?) and they decided to tap into the kung-foo craze, for seemingly no reason other than Bruce Lee was popular at the time. There is a lot about the film that simply does not work. Unsurprisingly, it was the least successful Bond movie at that point and there is little to commend it. 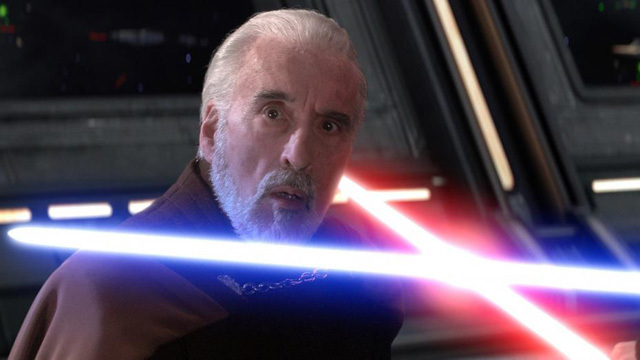 Enter Christopher Lee. This is probably the best example of an actor’s performance carrying an entire film. He’s likeable, he’s entertaining, he upstages Roger Moore which is no mean feat as Moore is arguably one of the most charismatic and charming men who ever lived. Scaramanga is easily one of the greatest Bond villains if not one of cinema’s greatest villains. A personal mantra of mine is that great characters can save a weak plot but a great plot can’t save weak characters. The same is true of actors, and Lee did make a habit of being the best thing in otherwise terrible films. As a concept that’s somewhat difficult to stomach isn’t it? Amazingly it’s not a reflection on Hayden Christiansen, I think anyone is going to seem rubbish in that context. There is however one film where Lee is particularly conspicuous by his absence. This is not a popular opinion, but I have never cared for ‘Return of the King’. Hailed as a classic and winner of many awards but for me, there was something missing. No prizes for guessing what. I make an open invitation to anyone to explain to me what on Earth Jackson was thinking when he cut Lee’s only scene and not only deprived us of one of the best scenes in the film, but robbing us of a satisfying exit for who had been the primary villain in the previous two films. Speaking of which, as I have noted that Lee was frequently the best thing in otherwise mediocre movies, one could take the cynical view that he only stood out because what he was in was so poor. His ‘The Lord of the Rings’ appearances (and despite my personal grievances with the third film I can’t deny they are cinematic masterpieces) would quickly dispel this notion, as even when there is brilliance all around him, he still manages to shine. The wizards duel in ‘The Fellowship of the Ring’ is a favourite of mine, not only because it’s a really good scene but who wouldn’t love Sir Ian McKellan and Sir Christopher Lee in the same scene?! According to his autobiography, Lee had a personal policy of only doing films. This is not entirely surprising as TV was neither as lucrative or prestigious back in the 60s and 70s as it is today. This may explain why he never appeared in Doctor Who, although he allegedly had a dislike of it. Despite this, in 2000 he made one exception when he played Mr. Flay in the BBC adaptation of ‘Gormenghast’ and not just as a glorified cameo, but as one of the main characters. It seems to be a footnote in TV history now, and as I recall made little impact at the time, but like so much of his work, it’s worth watching for Lee alone. There is a particularly brilliant scene when he sword fights with Richard Griffiths, which is comical and brilliant in equal measure. And once again, he was the only cast member to have met the author. One gift that Lee evidently had in abundance was perception. You only have to glance at his resume to see that he has done so many films that have stood the test of time, that are still loved, that still have diehard fans. And none more so than (you guessed it) ‘The Wicker Man’. There’s precious little new to say about that film. As everyone knows by now, Lee’s faith in the movie was such that he did it for free, financed some of it when the money ran out, and bought the entire front row at the Odeon in Leicester Square so he could hand out ‘free’ tickets to make sure people would see it. It was panned, but his faith was clearly not misplaced as it has since become a classic. I have to confess I have some sympathy with the critics of the time. 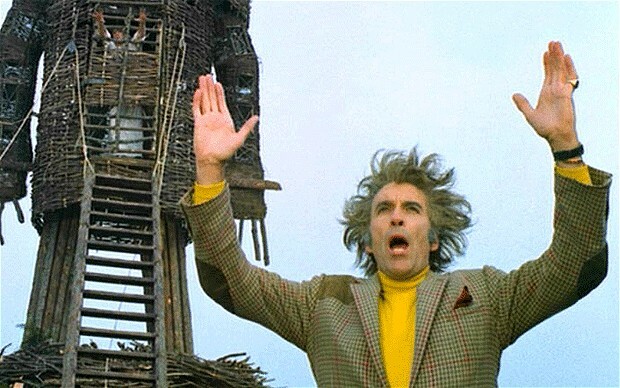 The first time I ever watched ‘The Wicker Man’ I didn’t care for it at all. It’s only upon repeated viewing that you pick up on the subtleties in the story and realise what a masterpiece it is. Sir Christopher was clearly one step ahead of the game. Which is the way I will choose to remember him. Such were his seeming powers of perception, if someone told me he could predict the future I would have believed it. In fact he made me believe in many impossible things, not least of all that an elderly man that I never knew could have such an effect on me. He made be believe in magic. When I first read the news of his death I was shocked. It’s a terrible thing, but usually when an elderly celebrity passes, the reaction is often ‘oh that’s a shame, but they had a good run’. Not so with Lee. I really thought he would live forever. For a man of such awesome presence, even ninety-three years just doesn’t seem long enough. I suppose that’s his greatest legacy, he made us believe a man could live forever and in a way he will. Gone but never forgotten.